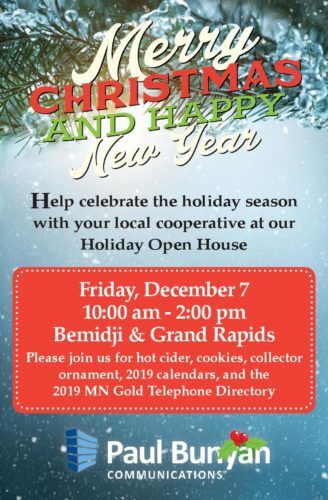 The annual Paul Bunyan Communications Holiday Open House is Friday, December 7 from 10 a.m.- 2 p.m. Stop in to either of our offices in Bemidji or Grand Rapids! All while supplies last. Come celebrate the holiday season with your local cooperative. We’re Right Here!